The landlords publish the ads on boplats and decides who gets the apartments. This is what happens after you have registered interest. 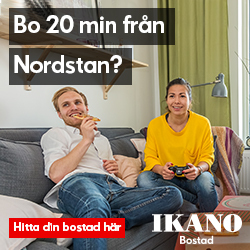 The landlords publishes all the ads on boplats.se. In the ads you find all the information about the apartments. Read the ad carefully before you apply. In the ad you can see how many have registered interest and what place you have if the landlord is using ranking. You can undo you registration of interest until the ad is taken down. You can follow what is happening with the apartment at My pages / Registered interest. Status describes what phase it is in at the moment. Published: Still published. Open for more applicants to register interest. In progress: It is no longer possible to register interest. The landlord has started working with the rental process. Viewing in progress: The landlord has started sending out invitations to view the apartment. Viewing finished: The viewing of the apartment is finished. The landlord is working on giving the contract to one of the applicants who has said 'Yes'. Contract assigned: The landlord has given the contract to one of the applicants. If you are invited to a viewing you will get a message on My pages / Messages. You can choose to get these messages to your e-mail or mobile phone at My pages / Contact. You will find all the information about the viewing you need in the message. Say yes / no: After viewing the apartment you must say yes or no to whether you will take the contract if it is given to you. You must reply before the last date. You reply at My pages / Registered interest. If you have replied "no" more than six times during six months the landlord may disqualify your registration of interest. You can change your reply up until last date to reply. After this the landlord will consider you to have said yes or now to signing the contract. The landlord will check your credit rating if you are up for a contract. The landlord can also check other references. If the contract is given to you, you will receive a message and the landlord will book a day for signing. If the contract is given to someone else you can see this at My pages / Registered interest. Contract given: The process has been finished. You can see how many days at boplats the person who signed the contract had. (if the landlord use Ranking). Withdrawn: The apartment has been withdrawn from the market. It is no longer being rented. You will receive a message with the reason for it being withdrawn.